Last week saw the release of our much-anticipated 2018 Best Tipster Guide and its publication has triggered a lot of questions from many of you exactly on how it can help you make money betting. Tackling everything on just what is inside the Best Tipster Guide it should help explain more on exactly how this guide is your ticket to betting success. Including how you can save £528.50 via 7 unique savings deals – 5X more than the cost of purchasing the Best Tipster Guide in the first place! Q1) What exactly is the Best Tipster Guide? The 2018 Best Tipster Guide will feature 4 new top tipster reviews, all due to be released during the course of 2018. The very first review is out now and tackles the racing tipster up 457 points profit at 14.5% ROI since 2015. The original 2016 Best Tipster Guide, which featured our first 5 top-rated tipsters, each of whom have also continued to make a profit through 2017. Q2) How good are the tipsters inside it? Well with a name like the ‘Best Tipster Guide‘, it’s safe to assume that all of the tipsters within it are highly rated! Q3) How will the Best Tipster Guide help me make money? Quite simply by showcasing 14 of the very best betting tipsters we recommend for you to follow. Read our reviews, choose the tipsters you like the most and start following their tips in! Q4) Are the reviews from the 2016 and 2017 Best Tipster Guides still relevant? A good question and the simple answer is YES, they are very relevant! Although 10 of the tipsters in the Best Tipster Guide were first reviewed and recommended back in 2016 and 2017, they have continued to make substantial profits in recent times. Proof if needed that these are not here-today, gone-tomorrow tipsters that are chasing a quick buck but genuine long-term money making experts. To give a quick example, one top tipster we recommended in the 2016 Best Tipster Guide had a 2017 to remember making a whopping 139.3 points profit at 44.9% ROI throughout. Not bad considering he only tips one bet per day and is incredibly easy to follow. Q5) How much do the tipsters featured inside the Best Tipster Guide cost to subscribe to? There are a wide range of tipsters featured with the Best Tipster Guide, including those free to follow, although most fall into the category of between £20 to £40 average cost per month. Some cost more, some less, but the key is always making sure you can return a fine profit long-term beyond a tipster and their subscription fees. Before we recommend any tipster, we make sure that any fees they charge are dwarfed by the profits made and this is the case with those within the Best Tipster Guide. Q6) How can I save on the cost of joining the tipsters featured within the Best Tipster Guide? Due to our independent stance (see Q7) we are able to negotiate substantial discounts and deals for many of the tipsters within the Best Tipster Guide. For example, one of the top tipsters in the Best Tipster Guide is offering a £128 discount on the cost of a year long subscription to his service. Saving you more than the cost of purchasing the Best Tipster Guide in the first place. Another is offering you the chance to join his service for a year for just £50 – A saving of £200! There are many more deals like this available to you – at the time of writing there are 7 discounts with a total saving of up to £528.50 if taking them all up. “I believe so strongly in SBC’s ability to help your betting, you can subscribe with a 100% cast-iron 90-day refund guarantee”. Read all about it! Q7) How do I know your tipster reviews are genuine and to be trusted? This is a very important question as whilst there are a ton of ‘free tipster reviews’ available on the Internet, almost all of them are biased towards you buying into the service they are reviewing. This is because they generate their revenue from a share of the subscriptions they help to sell on behalf of the tipster they are reviewing. Therefore, it’s in their interests to show it in the best possible light. Q8) Ok I’m in, How do I gain access to the Best Tipster Guide? 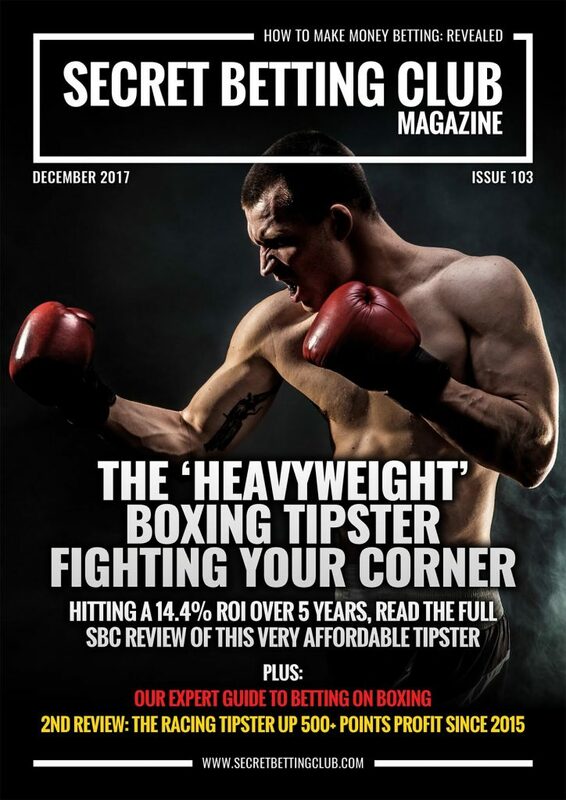 Including all our SBC Magazines, Tipster Profit Reports, Bet Diary Pro & Tipping Forum access PLUS it also comes with our 90-day refund guarantee. Part 1 of the 2018 Best Tipster Guide has just been released, featuring details on the latest tipster expert we recommend to make you money betting. 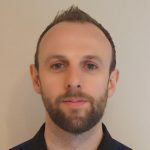 Having made 457 points profit at 14.5% ROI over the past 2 and a half years, this tipster has demonstrated a clear edge for those following with both bookmakers and exchanges alike. Best of all, we have negotiated a huge £200 discount on the cost of following this tipster – allowing you to sign-up for a year with him for just £50! Full details on this tipster plus a further 13 other recommended experts can be accessed now with access to the Best Tipster Guide. 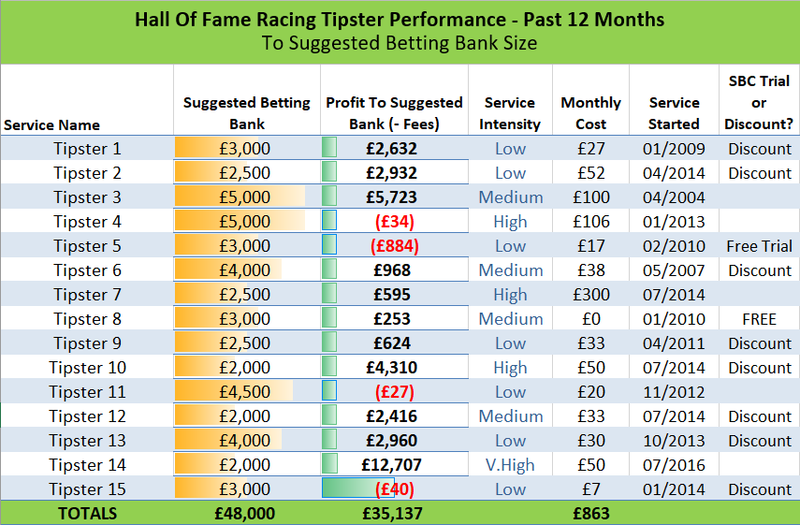 Including the likes of the racing tipster up 711% bank growth and the one-bet-a-day expert that made a 44.9% ROI last year alone. With several significant tipster discount deals for you to enjoy, and a 90-day refund guarantee, it’s our best ever value-for-money betting package! The Best Tipster Guide is available now via the very popular Platinum ‘Pro Punter’ membership – by signing-up today you can also save £45 on the cost of a subscription. By purchasing access to the Best Tipster Guide, you will receive full access to all 14 detailed tipster reviews and unique tipster discounts. This is even more of an achievement, when you consider they have achieved this by backing horses priced at around the 11/4 marker – effectively by backing 1st or 2nd favourites. Furthermore, our review reveals the distinct edge their tips have both at Betfair SP and by backing them on the Betfair exchange each morning. Showcasing the possibility that you can follow this tipster quite readily on the betting exchanges. This unique racing tipster service has been producing some phenomenal results for three years now. In the second half of 2016 alone, this tipster made 812 points profit from 3845 bets at a Return on Investment of 16.64%. Most crucially of all, if following our recommended betting bank that equated to 406% bank growth in just a 6 month period! 2017 showed no let up in form either as this service made a mind-boggling 14,228.04 points profit from 7162 bets advised throughout the course of the year. This is a ROI of 15.27% and betting bank growth of an unbelievable 711.4%! It takes a special tipster to make a profit over an 8 year period, but this is exactly what this racing guru achieved between 2009 and 2016 – averaging 60 points profit each year. His simple 1-bet-a-day strategy that has proven to last the test of time and is extremely easy to follow. The 19.4% Return on Investment achieved long-term is testament to his success. This outstanding form continued into 2017 with a whopping 139.3 points profit at 44.9% ROI added to his profit tally throughout the year. How The Best Tipster Guide Can Help YOU! I warned you about this tipster: 25/1, 20/1 & 10/1 winners. 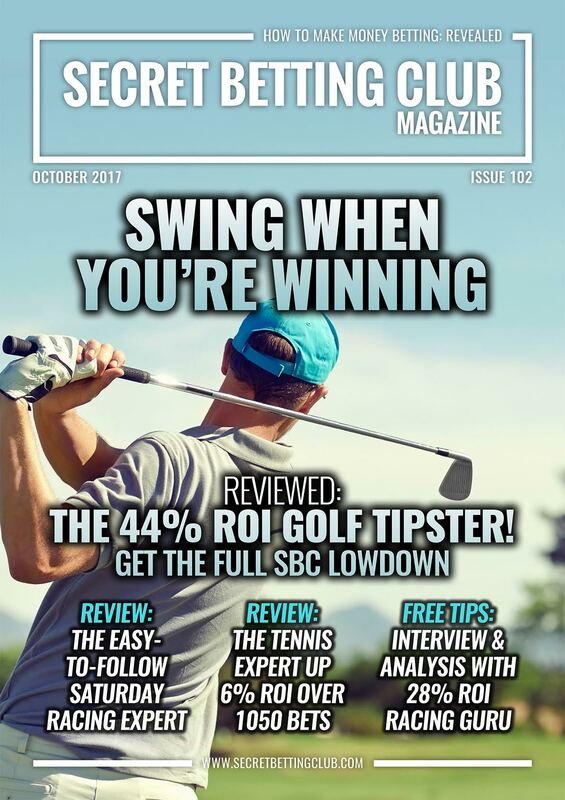 Last month, I shared the full SBC review of one top performing racing tipster with a proven strategy for beating the bookie, year after year. At £50 stakes that’s a profit of £1552.50 for 2018 already – which looks set to repeat the pattern of winning achieved by this tipster since 2012. And it is the fact this tipster has a profitable record dating back 7 years, which is exactly why we recommend them. Because I have seen them first-hand repeatedly beating the bookie year-in, year outvia the in-depth proofing my team and I oversee for tipsters. These winners have not been fluked – but based on a settled strategy that has worked ever since 2012. Perhaps even more impressively – this tipster has made a profit not only at advised bookmaker prices, but also on the betting exchanges. You might well be wondering – why exactly am I telling you all this in the first place? Especially as aside from reviewing this racing tipster, I have no connection or financial interest with them whatsoever. The reason for today’s post is quite simple – in that I want to showcase a real-life example of the type of high quality tipster we recommend to Smart Betting Club members. Because if the Smart Betting Club is known for one thing – its for our expertise when it comes to reviewing and uncovering the best tipsters – those that can genuinely make you money betting. It is why I shared the FREE copy of our review of this racing tipster last month. If you haven’t yet read that – click here to download your FREE PDF Review. This free sample review is indicative of the level of detail the SBC review team goes into when analysing a tipster we recommend. A tipster has to tick a lot of boxes to get through the SBC review process and come out the other side with our recommendation. If you enjoy this review and are keen to learn more on many other tipsters just like this one, then you might like to consider a Smart Betting Club membership. They are just one of many tipsters providing advice across a range of sports and markets that we track, analyse and recommend for Smart Betting Club members to follow. What’s more, as a Smart Betting Club member, you can also enjoy a significant discount on the cost of joining tipsters thanks to the special deals we negotiate on your behalf. Over a full year with the tipster featured above, you could save as much as £133 via the Tipster Savings available to you. Saving you more than the cost of joining us at SBC for a year!